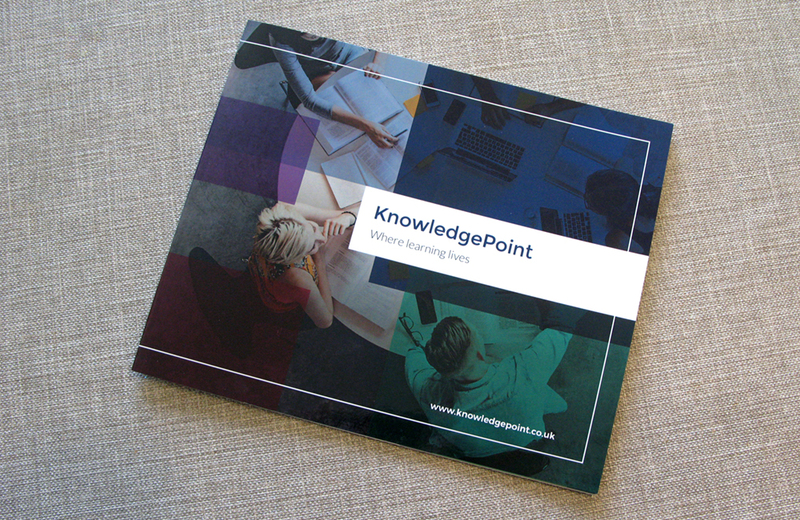 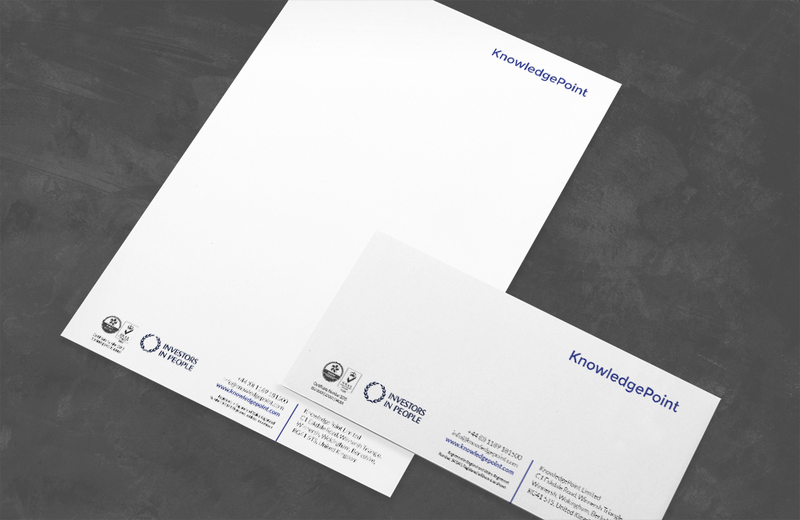 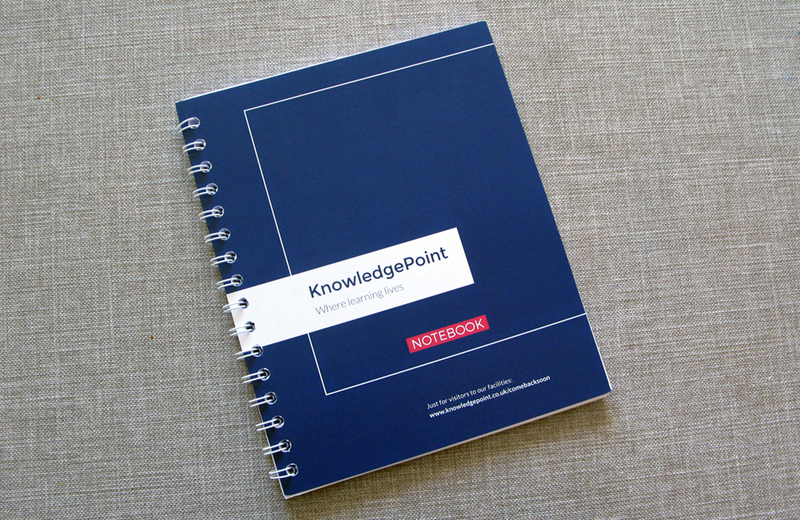 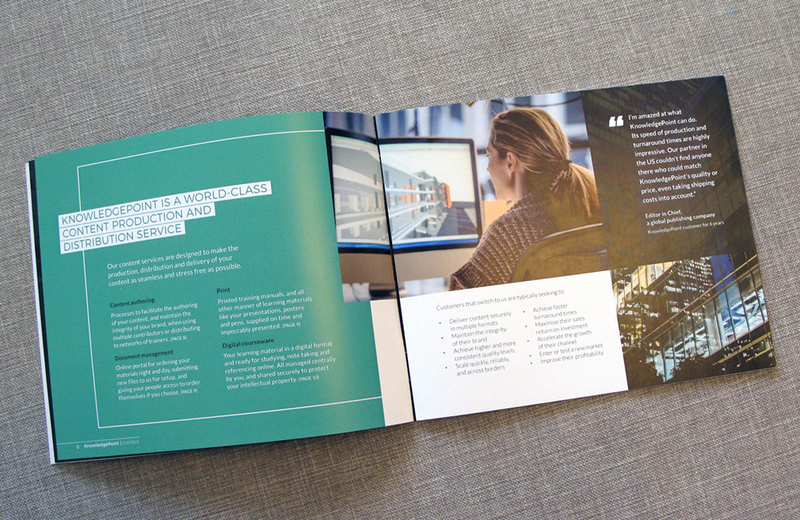 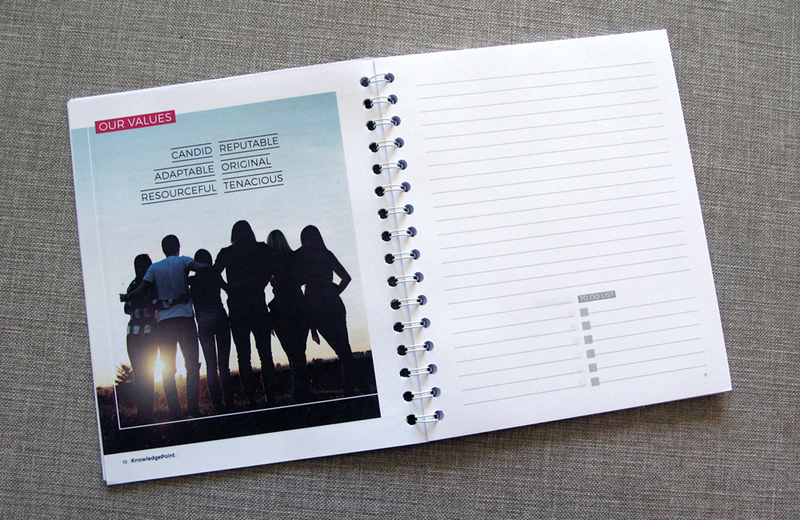 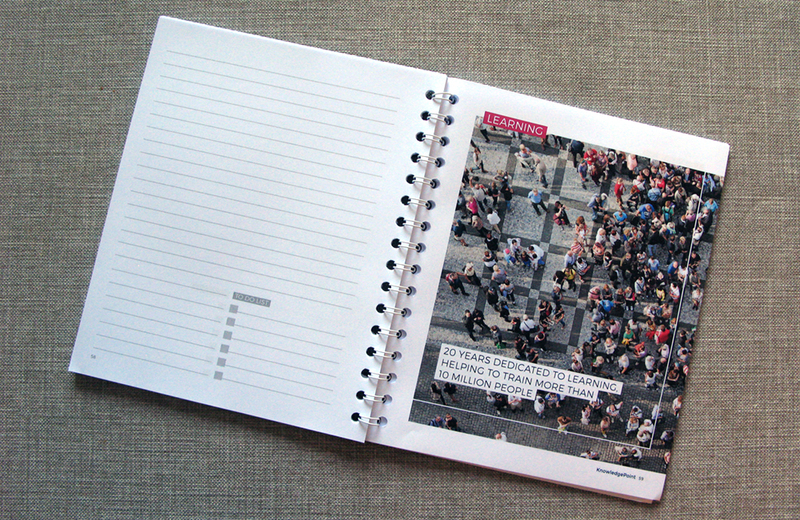 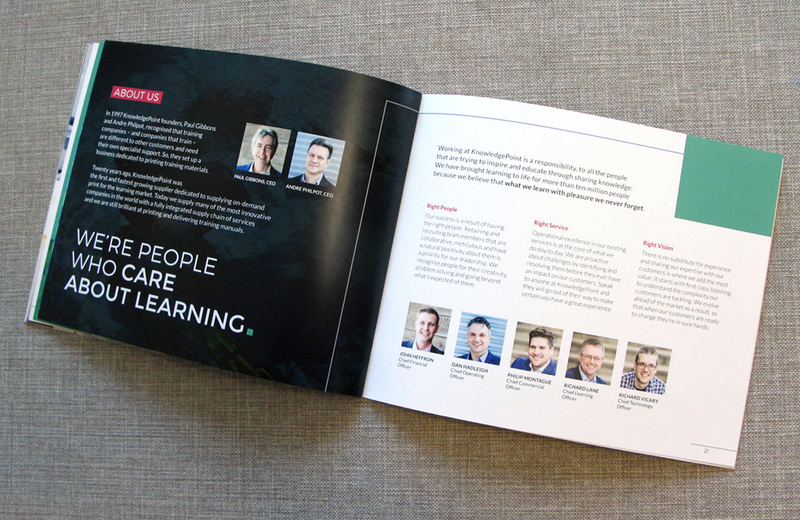 KnowledgePoint tasked me with extending their branding and bringing it to life in a new landscape company brochure. 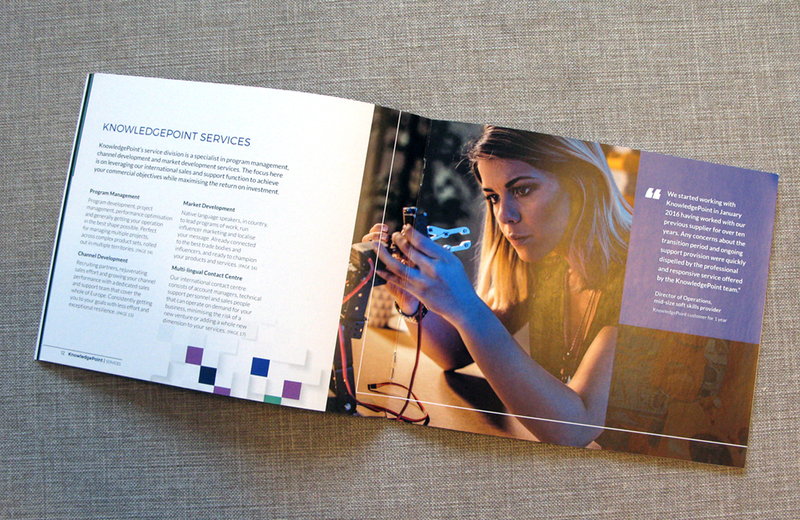 I introduced an outline rectangular device to pace and vary the layouts, develop typography styles and used turquoise and blue for the two service streams. 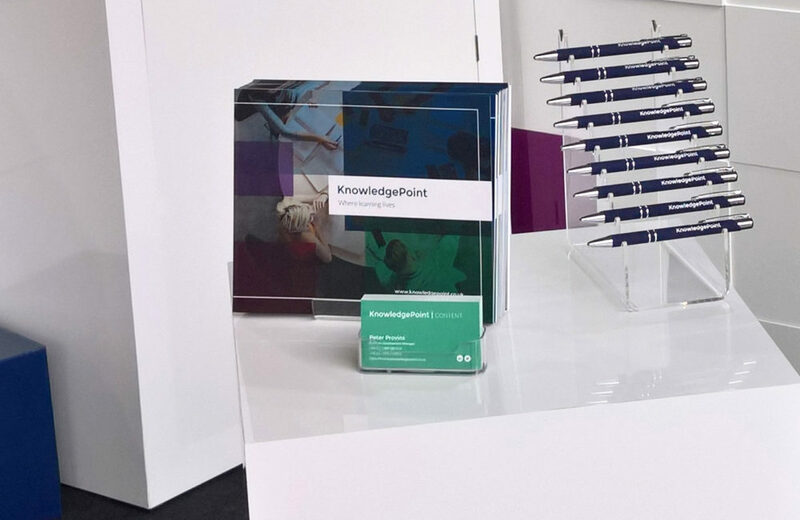 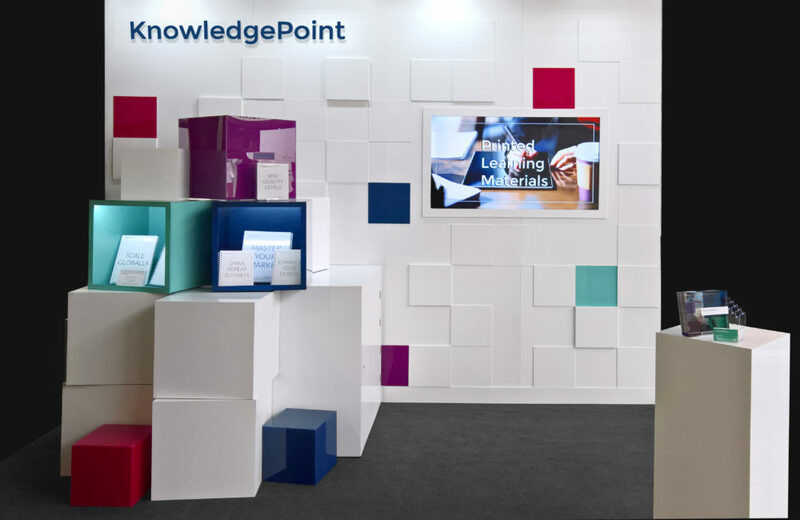 I created and developed a cubic supergraphic pattern for use across branded materials, a suite of business card designs and they also took elements I created to source a complementary branded exposition stand as shown (with a third party), where printed materials I designed are displayed. 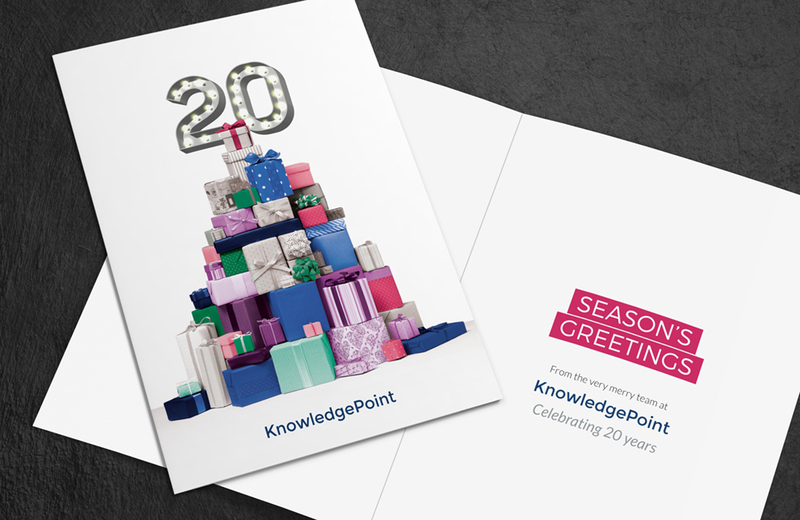 I came up with several concepts for their 20th year Christmas card and the winner was a tree-shaped stack of cubic gift boxes, making impactful use of KnowledgePoint’s brand colours there. 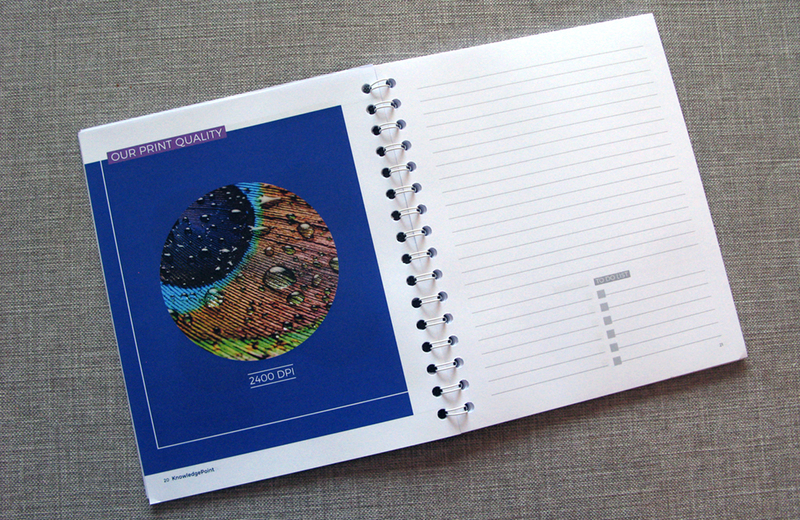 I also designed an A5 spiral notebook to go in a pack with the brochure out to customers, here engaging activity and statement colour pages are interspersed with the useful note pages.